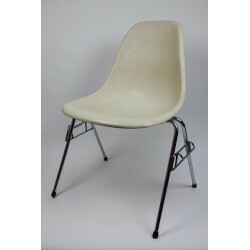 Vintage design chair designed by Charles and Ray Eames in 1948. 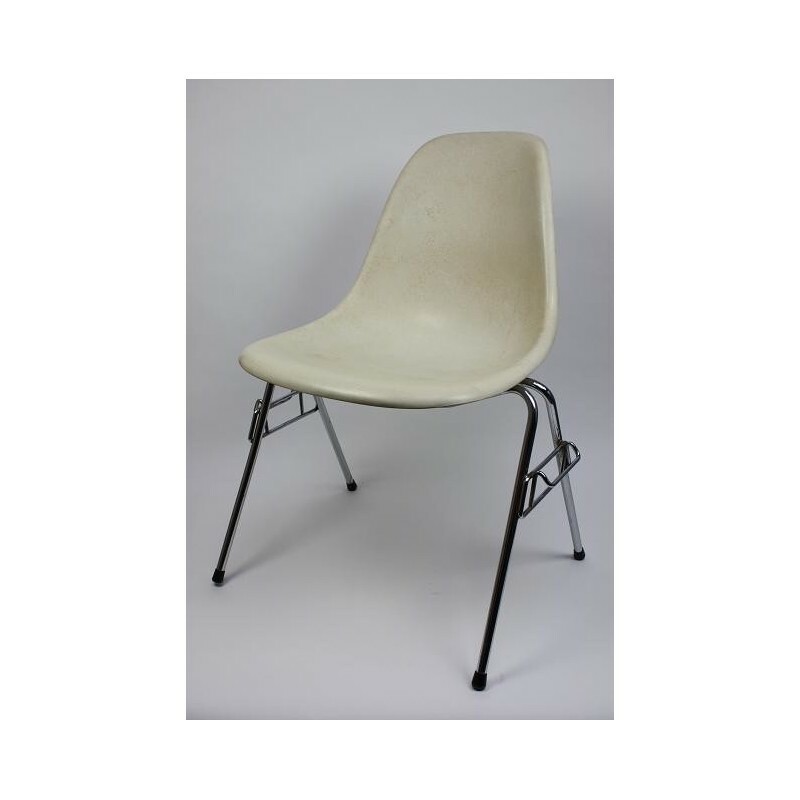 This chair is a early edition made of fiberglass and is manufactured by Herman Miller. 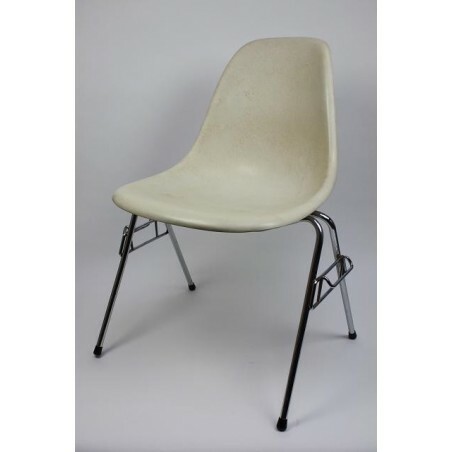 The Eames Plastic Side chair was the first industrially manufactured plastic chair. With stackable 4 leg tubular steel frame and linking element. The chair is in a good vintage condition.